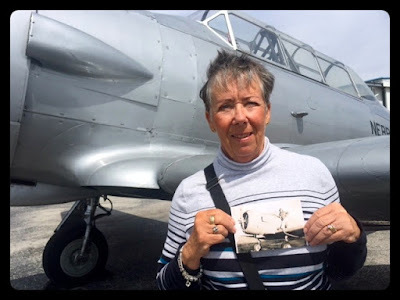 A blog dedicated to honoring the legacy of her grandfather, an Airman, and of all who served alongside him in the Aleutian Islands, Alaska during WW2. This is a much deserved and long overdue post honoring R.C.A.F. 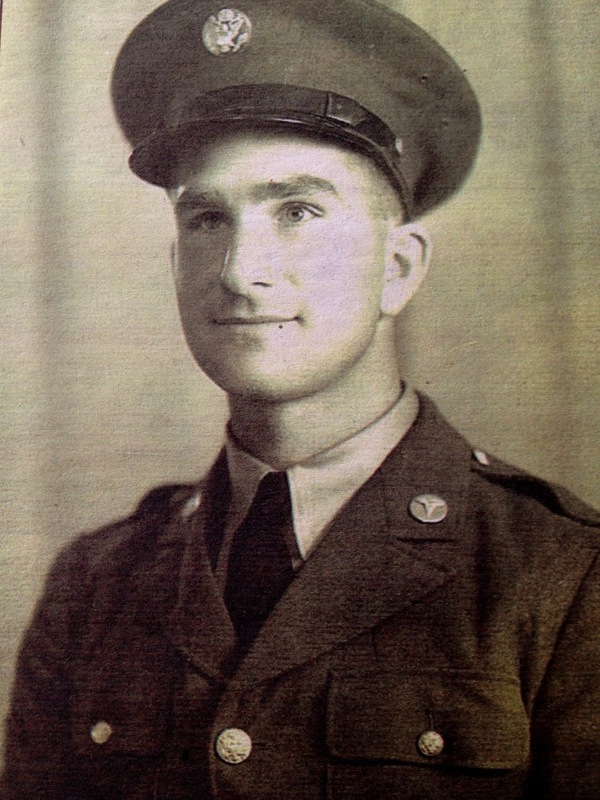 111f Airman; F/L George Talbot Schwalm. F/L Schwalm was from Tottenham, Ontario and joined the R.C.A.F in 1940. He became attached to the 111f squadron in December, 1941 and ended up in Alaska beginning April, 1942 with stints on Elmendorf and Umnak. 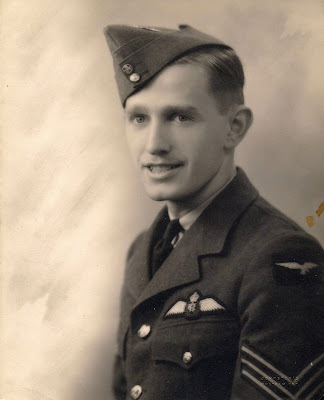 On June 29th, 1943 he went on to join the 412f Squadron in Europe where sadly, he was killed in his Spitfire by ack ack fire on August 12th, 1944. He is still listed as M.I.A. As I posted this today, I wondered what Easter looked like in 1943 and found out that the Easter of 1943 fell on the latest date in history. It was celebrated on April 25th. It will not fall that late again until 2038. With that I wish you a Happy Easter F/L Schwalm and I thank you for your service. This was a newspaper clipping my grandfather had in his collection. F/L Schwalm is on the left. 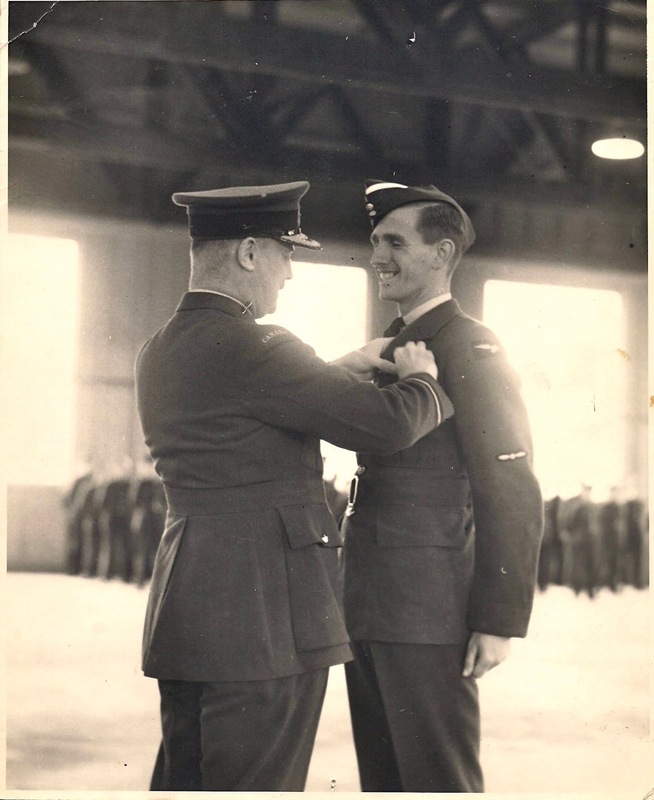 F/L Schwalm receiving his wings at #2 at Service Flying Training School, Uplands, Ontario. Something about the pureness of the Kodiak air is what I attribute my log like sleep to despite it being just as light out when I woke up, as when I went to bed. Beth, my hostess, at Mrs. Potts Bed & Breakfast laid out my morning coffee the night before which suited me perfectly as I usually rise before the hens. Besides, my solitude in the morning is usually in everyone's best interest. I sat quietly reliving the previous day and began a very fluid plan for my first full day in Kodiak. 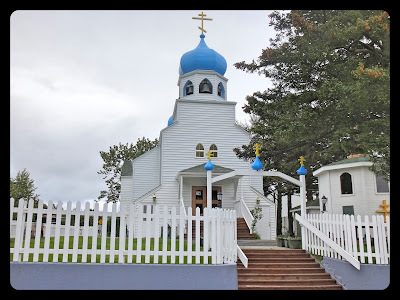 In keeping with my desire to get the most authentic experience of a town, my day consisted of simply wandering the streets, checking out a few museums, and hanging out around the fishing docks. Of course, all in the typical Kodiak rain. 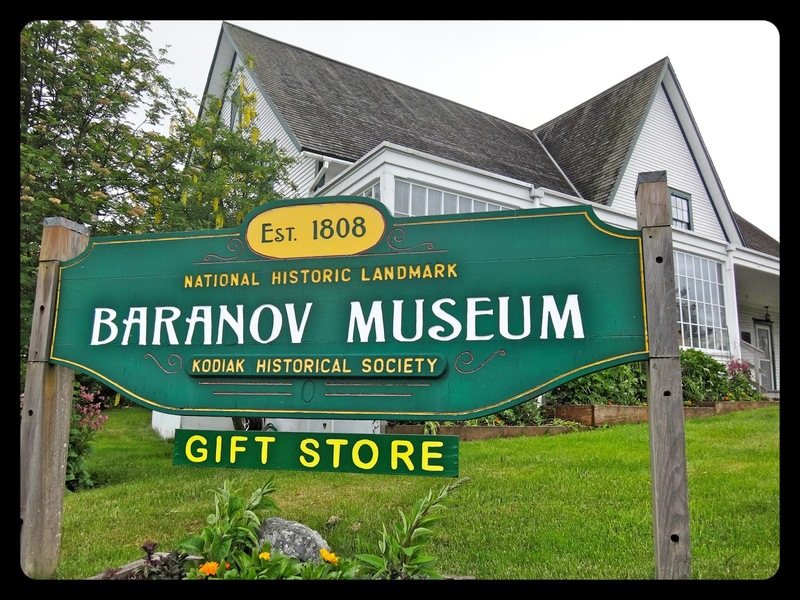 I began my day with a trip to the historic Baranov Museum. This museum is located in the National Historic Landmark building known as the Erkstine House. 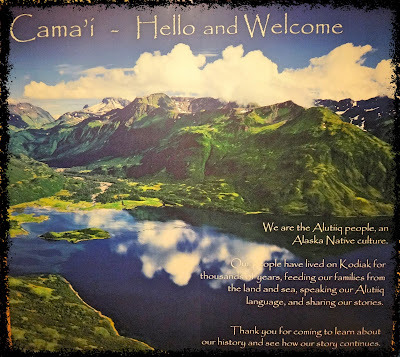 They specialize in Alaska's Southwest Russian Era (1741-1867) and early American Era (1867-1912). Yep. Russia. In 1763 the first Russian explorer discovered the island and its Alutiiq inhabitants and named it Kad'yak. A decade and a half later, 1778, Captain James Cook set foot on the soil and renamed it Kodiak. 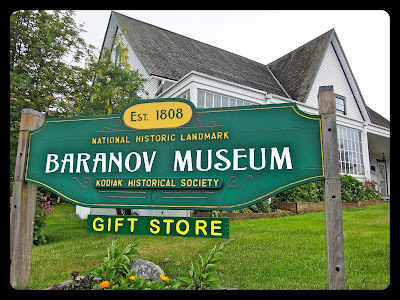 And in 1791, Russian fur trader Baranov laid roots on the island, in the form of a fur trading depot, with its warehouse in the very same Baranov Musuem located in the area that still makes up the core area of Kodiak as we now know it. The Museum was super. A must. 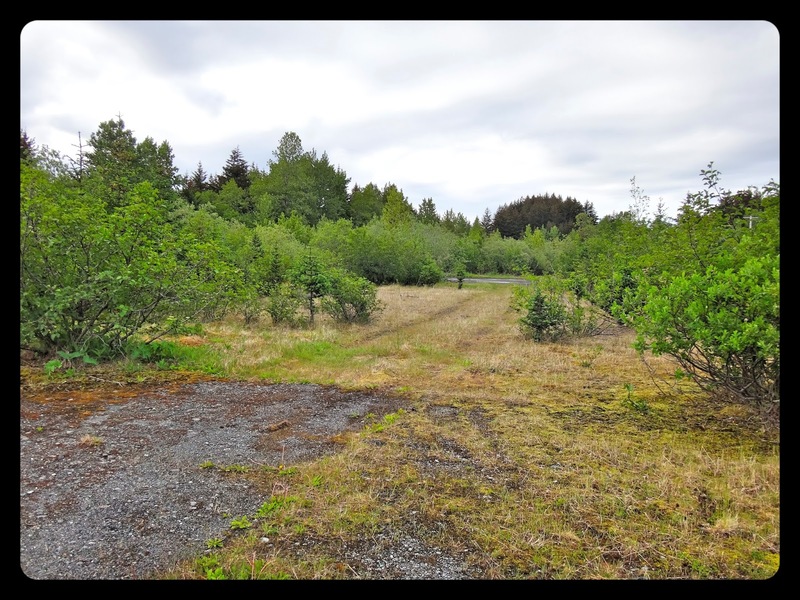 Surprisingly, even though Kodiak has some strong WW2 roots, it had very little information displayed. On a shelf in a hallway, sat an assortment of photo albums available for browsing. 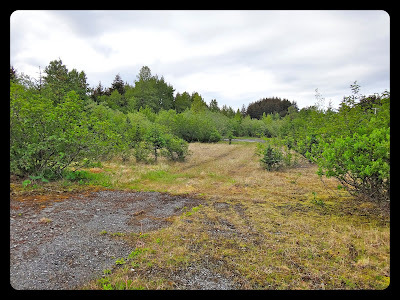 One of the gals working there helped me scour through them with hopes of finding out a more precise location of where Fort Greely was for tomorrows excursion. 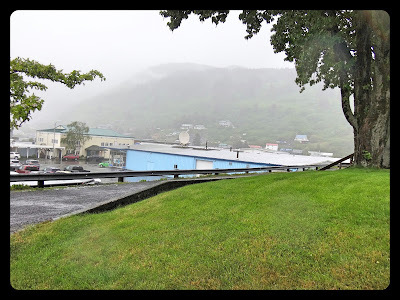 Downtown Kodiak. 1943. 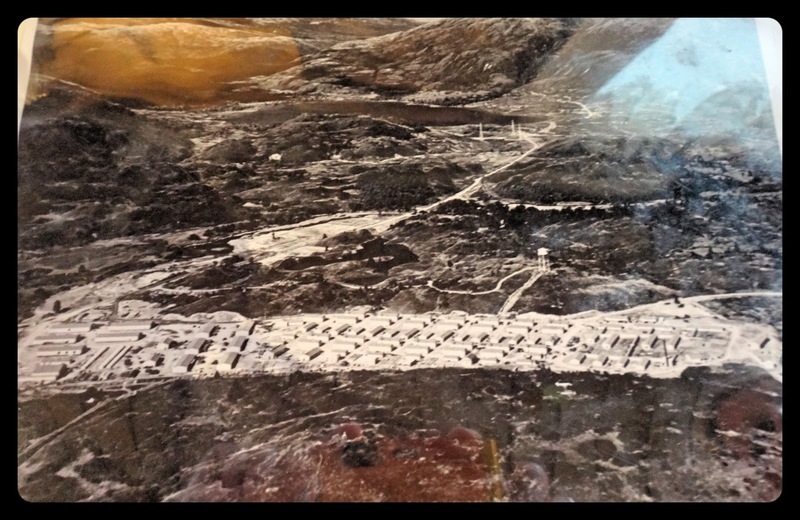 Photo from Jack Kotlovker's Collection. Although I was most interested in it's WW2 past, it was still neat to learn the history behind the place many people fall in love with. 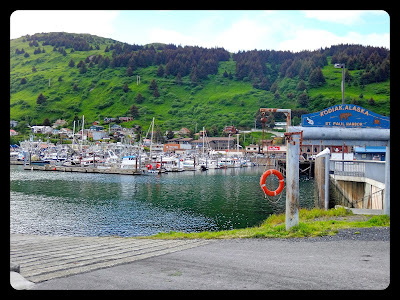 Mostly due to it's geography and the Pillar mountain range that follows the coast line near the harbor, the core of downtown Kodiak is more wide than long. Only about 4-5 blocks north to south and 6-8 blocks east to west. Sure made it easy to orient yourself when looking at old historical photos. The town has one Walmart, which was somewhat disappointing to see. Big business infiltrating even the most pristine, nearly untouched towns. Towns where the local business owners rely on... well... local business. 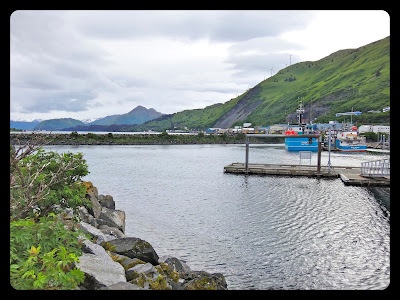 Primarily though, Kodiak is a fishing town filled with numerous harbors and a lot of guys in rubber pants, good down to earth people, a ton of wild life and a lot of history. 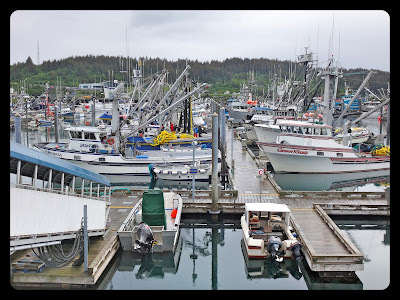 Some of the Deadliest Catch boats dock here during the summer fishing months. 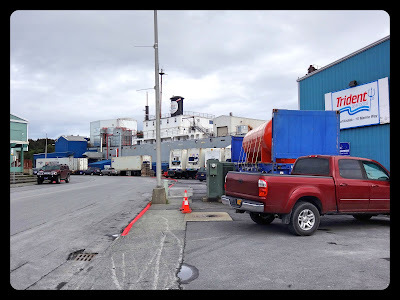 No sign of them on my trip though- guess they were out bringing home our dinners- crab, halibut, cod, rockfish, to name a few of the fish that frequent the surrounding waters. The rest of my day consisted of one more museum stop; the Alutiiq Museum, a lot of aimless wandering, pit stops at the local watering holes and dinner at the old Power Plant turned Sushi restaurant with the nice lady, Barb, who gave me a ride to my B&B the day before. Kodiak- it is great to meet you. 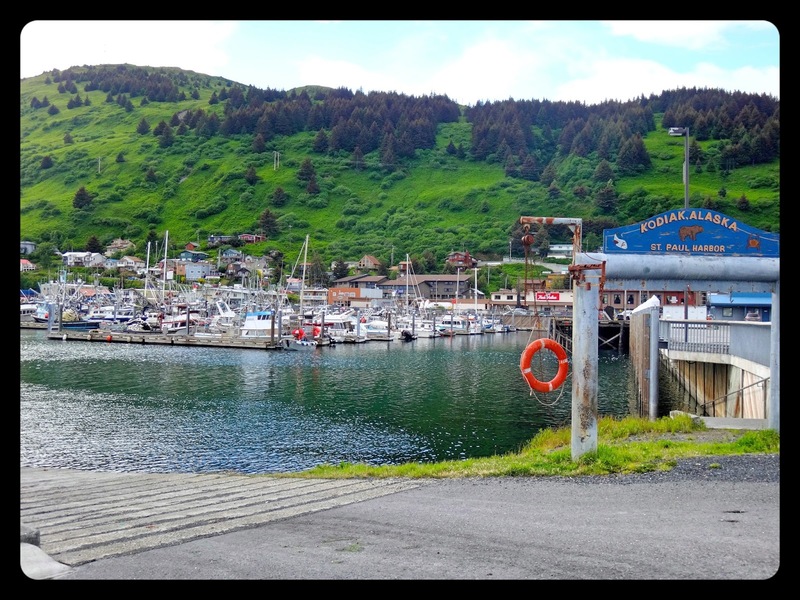 The harbor in Downtown Kodiak. 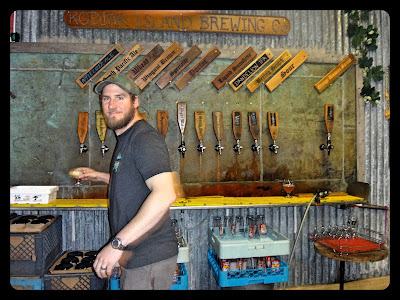 Kodiak Island Brewing Liquid Sunshine, my go to. 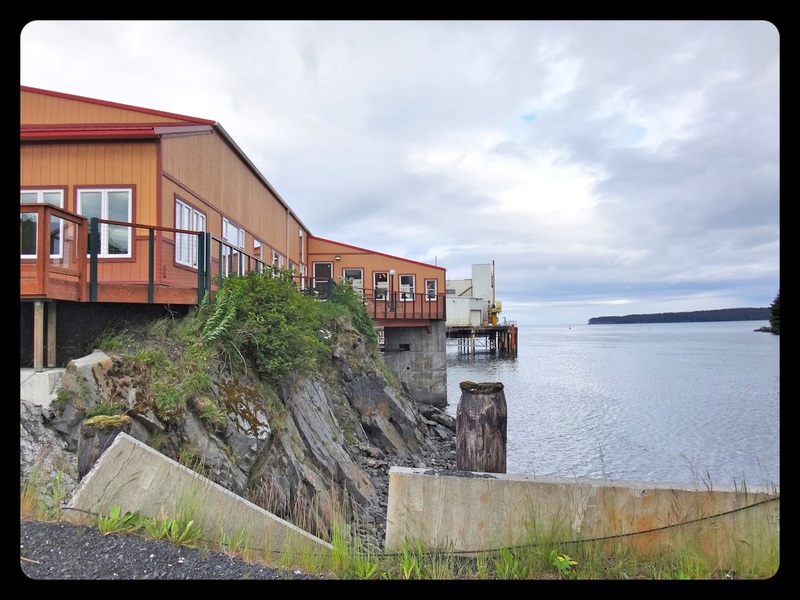 A WW2 Liberty Ship has been re-purposed as a Trident fish processing plant. The sun made an evening appearance. 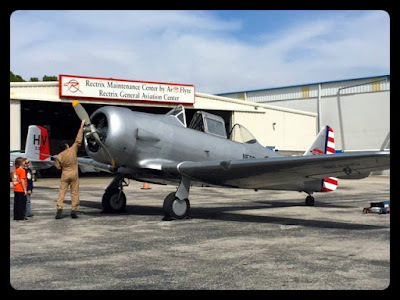 A few weeks ago, the Commemorative Air Force held an event here in our area. The timing was perfect as my parents had just arrived from Canada making this, the first stop of their trip. I was excited to show my mom, in person, one of the planes her father used to fly while in the Air Force; a Harvard/T-6 Texan. He learned how to fly P-40's on this plane then taught upcoming fighter pilots how to fly using this same advanced trainer aircraft. 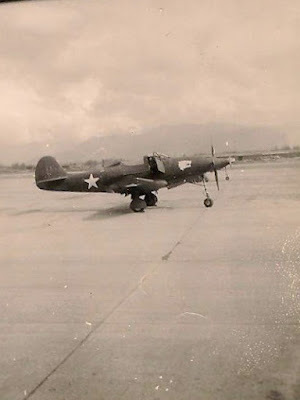 The header of my blog is him standing nobly on the wing of his Harvard. For years, my parents have heard me talk about his service, the importance and those planes. As with anything, seeing it in person makes all those stories, all the more real. It sure was something to see their faces. in front of a plane he frequently flew, the T-6/Harvard. Commemorative Air Force keeping the spirit alive. Plane: T-6/Harvard. Pilot: Jeff Linebaugh. 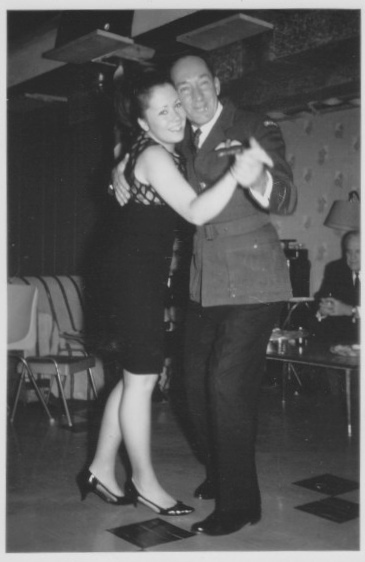 As we were sitting around the table last night talking about my upcoming Aleutian trip, studying Papa's war documents, and marveling at the sacrifices they made, it served as a reminder of how little we knew about his service. He never spoke about it. Ever. We all saw his uniform hanging in the closet. His medals on the wall alongside the photo of him in his plane. But no one ever asked him about it and what those meant. Gosh, I sure wish I had. We all wish we had. Knowing what I know about my fellow humans, this really should not come as a shock to me, that there are still people who are unaware or are under impressed with the significance of WW2. I suppose if the veteran himself did not talk about it, then how are were we to know? That is just what drives me to write about it, talk about, and share it when ever possible. Everyone should know, but more importantly, we should all carry an immense amount of gratitude and respect for what that generation accomplished. I am incredibly honored to be the voice that so many of them were not able to be for themselves. My mom was one very proud daughter by the end of the day. Special thanks goes out to the folks at the Commemorative Air Force for keeping the legacy of these planes and the men who flew them alive. Mom & Papa: his 25th Wedding Anniversary (circa 1966). He was very happy that the uniform still fit! Months back, I received the news that one of the last remaining WW2 Aleutian vets, Roy Frank Winebaugh, 97, had passed away peacefully in his home in Flint, Michigan. Roy was a proud U.S. Medic who served in the Aleutians for four years during WW2 including time on Adak and Attu Island. Thank you Roy for your service. 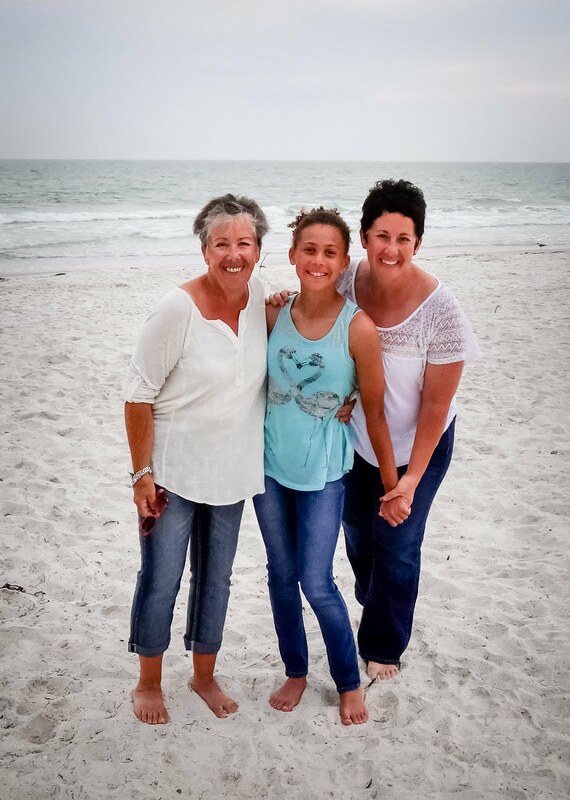 It was an honor to have shared your story.